One weekend I invited Esposo’s younger cousins over for a pajama party. I try my best to be a great party host even to the little ones. Epsoso’s *tias have hospitality down to a T, while I am taking notes and still learning. I thought it be a great idea to watch Dr. Suess videos and then serve the kids a light snack afterwards. 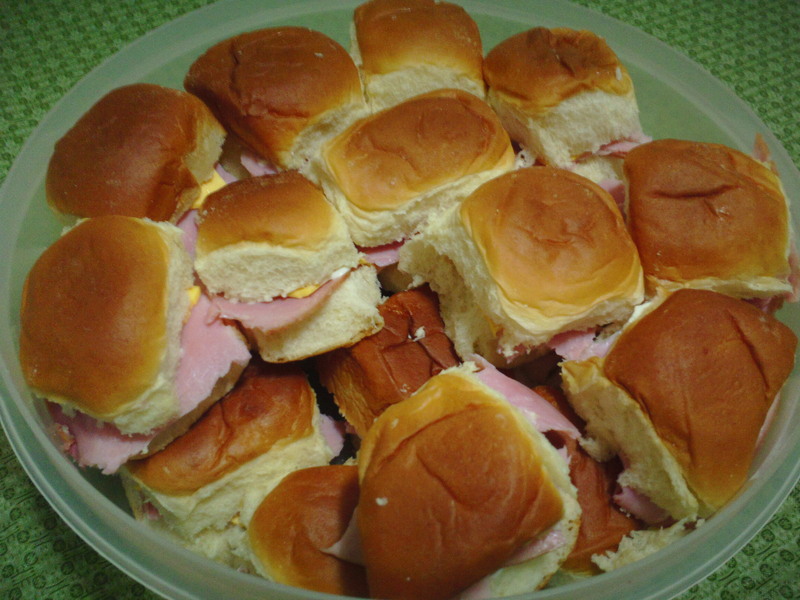 Keeping with the theme of Green Eggs and Ham, I put together small ham sandwiches made of hawaiian rolls, mayo, mustard, ham and cheese. Very simple. I made about 25 sandwiches and they were gone within a matter of minutes. The kids loved ’em! These would also work great for brunch. The green eggs not so much. Only one of 6 kids liked the eggs, the others were turned off by the green color. They were all good sports though. They at least took one bite to give it a try. 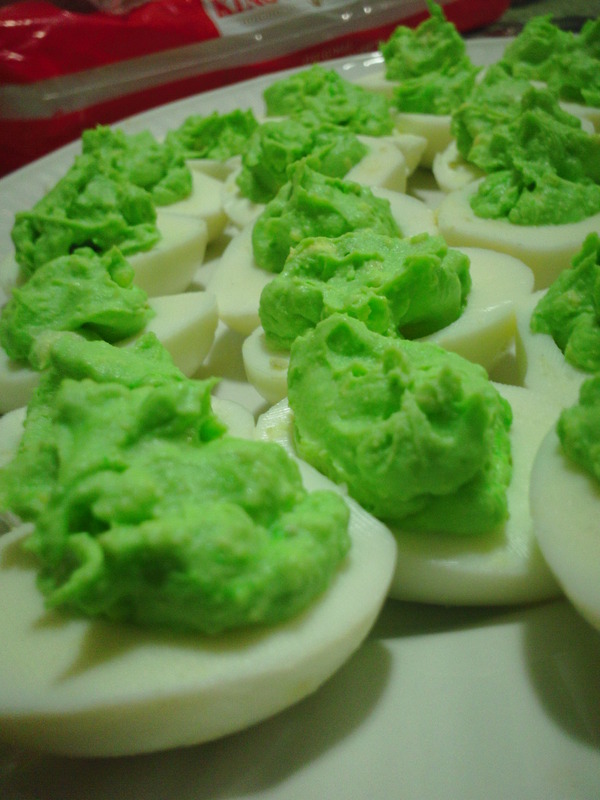 What I did for the eggs was just made deviled eggs and added a little bit of green food coloring to the yolk mixture. I tried adding blue at first, because yellow and blue make green, but it wasn’t turning green, so I then continued with the green drops. You can make it as light or as dark as you want. Just add a couple of drops at a time. I make my yolk mixture very plain jane with just mayo salt and pepper. I had no idea what I was getting myself into that weekend. By the end of it, I was so sick for trying to keep up with all the boy’s energy and appetites. I felt horrible for not being able to sit and chat with Esposo’s tia who came to get her boys. They are all now on summer vacation from school and want to come over again. REEK! REEK! REEK! *tia – spanish for aunt. If you burn your food just call it cajun! Would you like to buy a cupcake?